The Warwick and District Junior Rugby League has partnered with the Alive organisation to promote the importance of youth mental health in the league area. 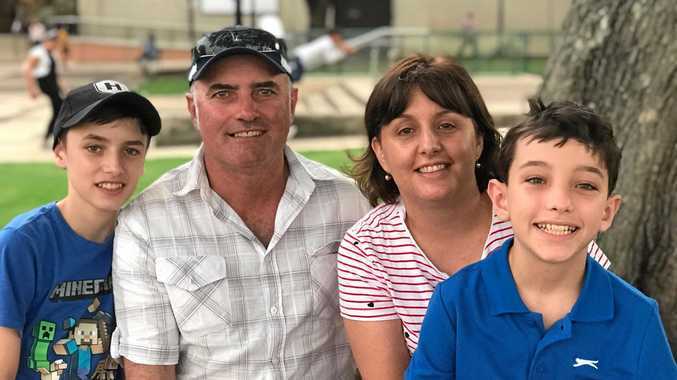 The Stanthorpe Gremlins juniors play in the league and are set to be involved in the WDJRL Alive round this season to raise funds to support the work of Alive in the region. Alive founders Tamsyn Rosenberg and Dexter Chew have travelled from Brisbane to Warwick to promote the program, which will be rolled out this season. Rosenberg is a psychologist who has worked with youths for the past 13 years. Chew is an environmental scientist by profession but has been a youth worker for four years. He is a Brazilian jiu jitsu (martial arts) trainer, a discipline he is keen to teach to young people who become involved in the Alive program. 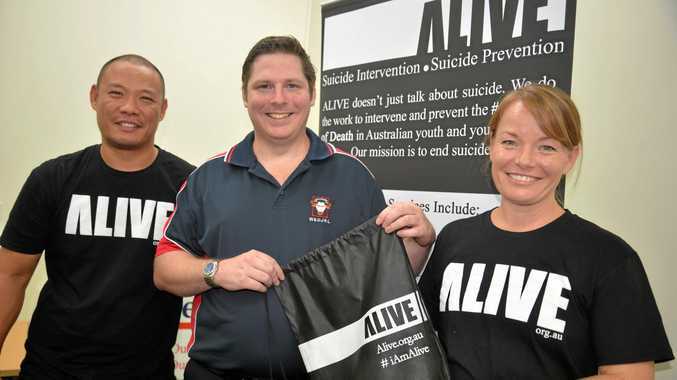 The organisation will be seeking business sponsors, including gyms, banks and other service providers, to cover the $80 cost of Alive kits, which will be provided by doctors to young people at risk of suicide. The Alive kits will include local gym memberships and the book Twelve Life Hacks for Teenagers to Live Life Fully. Rosenberg and Chew will return to the area during the footy season for Living Life Fully workshops for ages 10-22 and then a workshop the next day to talk to parents, coaches and anyone who works with kids. Chew said 70% of suicides were males. "Global statistics show that if one high-profile person commits suicide, rates rise six fold in the short term,” he said. Rosenberg said she had talked with Melbourne Storm coach Craig Bellamy about supporting players emotionally as part of their training. "We need to support high profile role models to be more emotionally resilient,” she said. Alive has partnered with the Queensland Rugby League Central division, the parent body for Warwick and District. "We will be doing school tours and talking to students from Year 6 up as well as talking to club rugby league players and their parents,” Rosenberg said. Local and state-based ambassadors will be appointed to further the Alive message. WDJRL secretary Rob Weaver said an Alive round would be held this season to raise funds to support the program in the league area. Anyone suffering depression or anxiety is urged to phone Lifeline at any time on 13 11 14. Alive can be contacted on www.alive.org.au or www.facebook.com/alive.org.au.